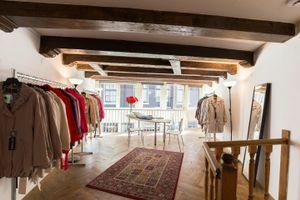 Customize this cozy 40 sqm space to match your brand's own style and taste and to transform it into a perfect boutique, pop-up store or showroom. 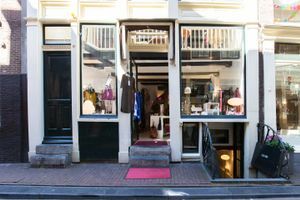 Located at walking distance from the Amsterdam Museum, this is an excellent meeting point and its strategic positioning will attract many locals day after day. 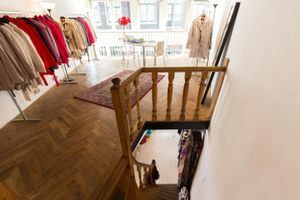 This space is located on the first floor of a lovely Amsterdam building. 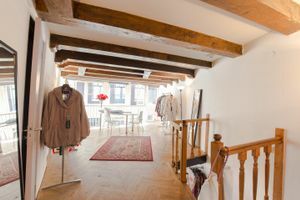 This building breathes the spirit of the city and has a raw and positive character, which it will transfer to any concept you host here. This space has a bright and natural feeling, thanks to its color pattern of brown and white, and the large amount of daylight that comes in through the broad windows. Together with the lighting and furniture, it creates a calm and relaxing atmosphere.